Capacity: 5.0 kN (1,000 lb, 500 kg). 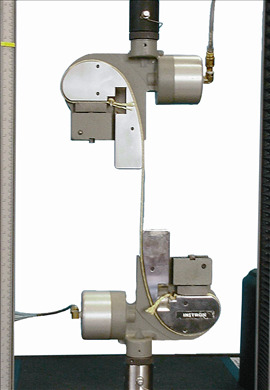 Incorporates a grooved channel for specimen guidance. Maximum specimen diameter: 2 mm (0.08 in). Upper and lower fittings: Type Dm (1.25 in connection with ½ in clevis pin).